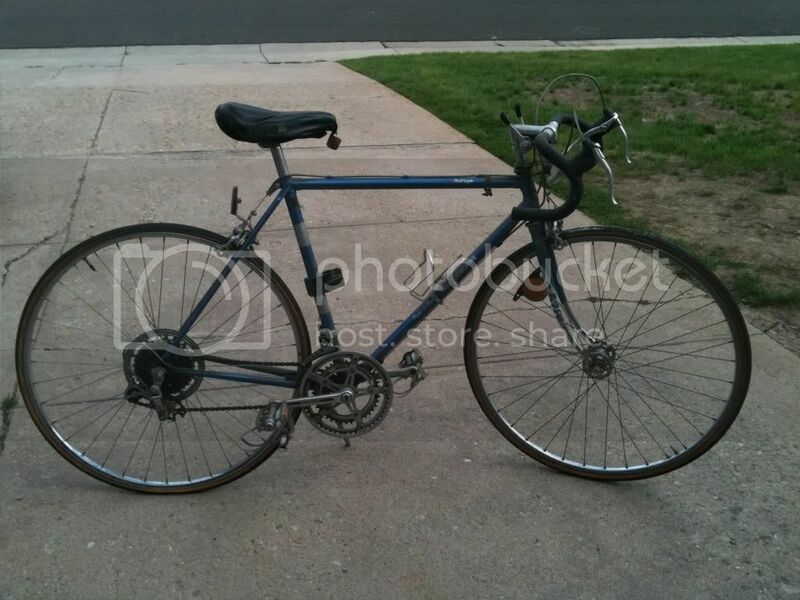 Still have a bike you bought new 30 + years ago? Bikes: '14 Insight 2, '95 Trek 720 Multi-Track, '94 Cannondale M600; '92 Raleigh Dash Max; '86 Panasonic DX 5000, '81 Fuji S12S, '81 Fuji Royale; '78 Bridgestone Diamond Touring, '78 Motobecane Grand Touring, plus many more! I recently bought a bike from a guy who bought it new nearly 30 years ago. Nice sport touring bike for "weekend excursions" (got that phrase from a bike catalog). If he rode it around the block at most I would be amazed... I am planning to bring the mileage up to where it should be real soon. Hardly a blemish on the paint job, just plenty of dust and schmutz. Of course the vexing question here...what would this thread look like 30 years from now when someone asks the same question about bikes you bought NEW 30 years ago! Bought this new in 1971. It's been with me in a number of different countries over the years. Many battle scars, but none severe. I just removed the original Stronglight BB, the fixed cup of which was NOT easy!, and replaced it with a Phil BB. The crank arms (new rings just last week!) are the only original parts on it. I need new bar tape, but the hoods wouldn't survive the process and replacement hoods for the Modolo Professional levers are rare or simply too pricey. sigh. That's really pretty...and would the Loosescrews black hoods not work for you?? Or do you simply want Modolo? I am sad that the oldest bike I bought new, and still have, is only 18 years old. Very nice bikes everyone! If anyone purchased one used or had a bike given to them that is old enough and was owned by someone all those years it's all the same. I think it is great to see the ones people appreciated and enjoyed enough to keep. Mind you, there are always those ridden a short time and then stored away, forgotten. Love threads like this.... 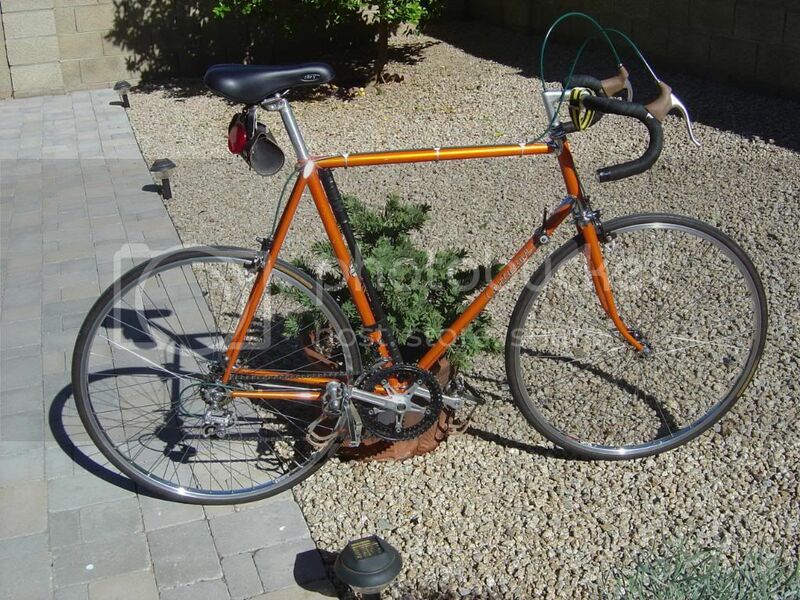 I don't have anything high end, but I do have the 24" Raleigh that I rode as a kid in the late 70s/early 80s (My avatar is the first ride after reassembly last year). My son & I restored it and it's now his transportation to school/football. To answer khatful's question, I hope one of my grandkids is rolling around on this in 30 years. If I didn't kill it on the trails unknowingly using it as a CX/MTB, I don't think you can kill it. 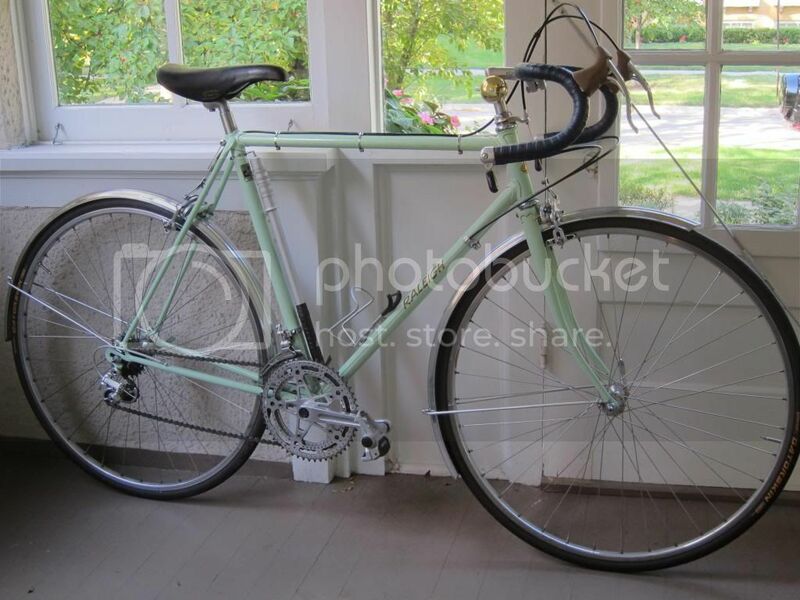 I bought my Bianchi Volpe new in 1990 or 91 (I think BG figured out that it's a 90). Currently in use as my primary road bike til I drop out of clyde territory. Raleigh Super Course Mark II; I bought it new in 1974, repainted it in 1982, and rebuilt it in 2009. Not me, but my dad.. He bought his Motobecane Mirage when he was 22, straight out of college and moved from Miami, FL to Denver, CO (the latter being where we currently reside). It is a 1979 model, afaik. Thanks for the reminder to look at these. I wonder if they'll fit my Zeus 2001 levers, too? It sure would be nice to have the Modolo versions, if only because they had such a fine contour shaping. Makes them very comfy, for that older style anyway. 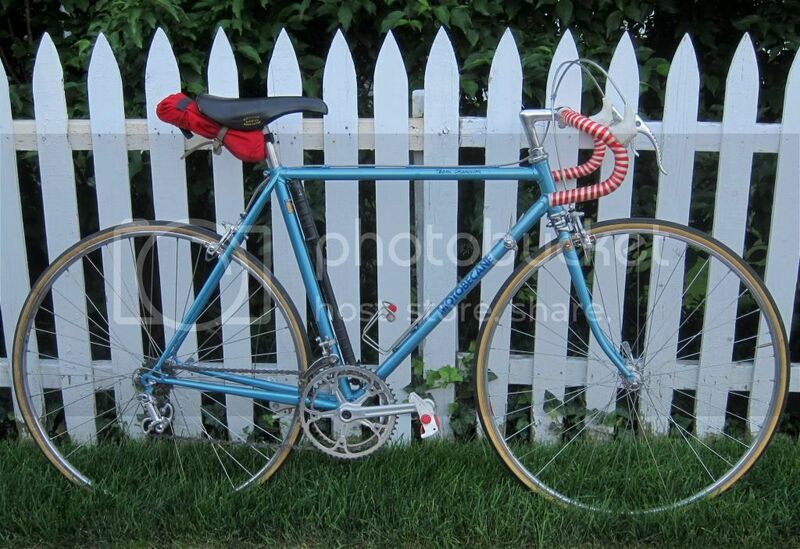 This Gitane was my first European bike, and my first exotic love. I even have a garage queen twin in my 1971 Super Corsa. I just love how that vintage of French frames handle. Here's another one, my "high end" bike. Someone else bought this one in '73. I got it, actually just a subset of it, in the late 70's or early 80's. I really can't remember when. Last edited by jimmuller; 04-11-12 at 08:30 PM. No screaming please, I thought I had lost this bike from my youth until recently found "lost it for 15 years" sadly the chain stays are to rusted though to salvage. I never remember the original wheels except I kept ruining them pulling mono's. I've still got my '63 Superior that I got new. I posted this picture many times, but here it is again. I would have, but somebody stole it. Bikes: Several, mostly not name brands. 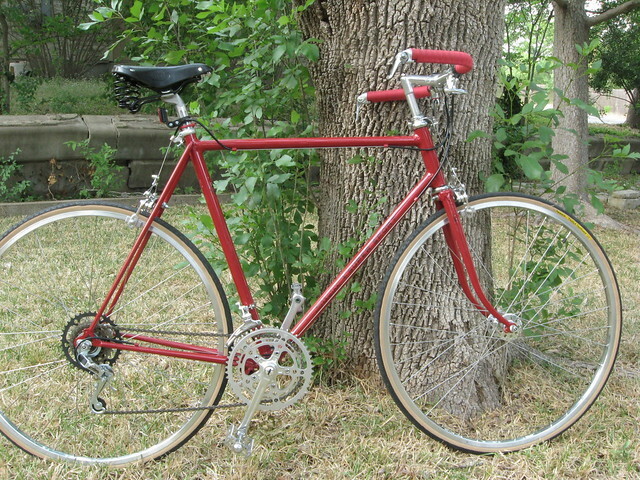 I bought my 1973 Schwinn Super Sport new in 1975 when I was 17. I got a loan at the bank to buy it. It was my main transportation for many years. I did a resto-mod on it last year. 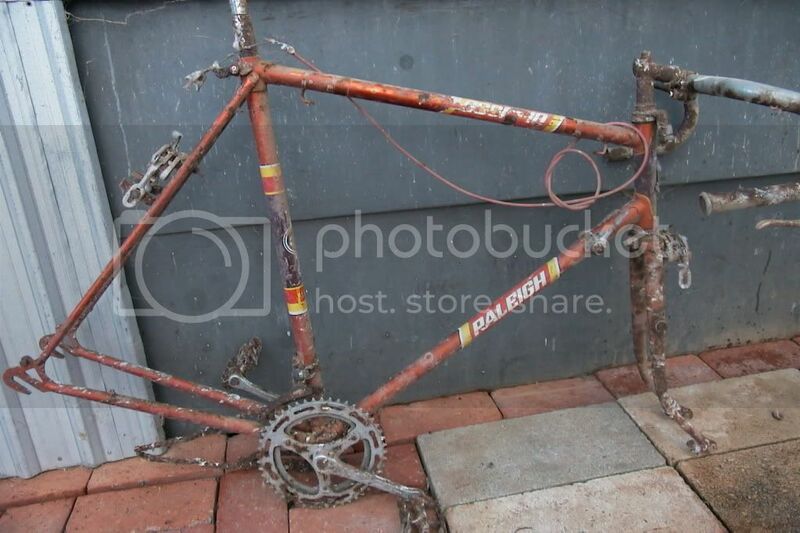 The only original part besides the frame and fork is it's stem. It now weighs 27.9 lbs. It has a Stronglight 99 Crankset(now a triple 52/40/28), NOS alloy Lyotard pedals, NOS Huret Eco Duopar RD, and many Velo-Orange parts. The NOS Weinmann Schwinn Approved brakes are just like the originals but have been polished. Last edited by vonfilm; 08-12-11 at 09:32 PM. Boy, most of us are pretty old! Of course, it's a self-selecting thread. 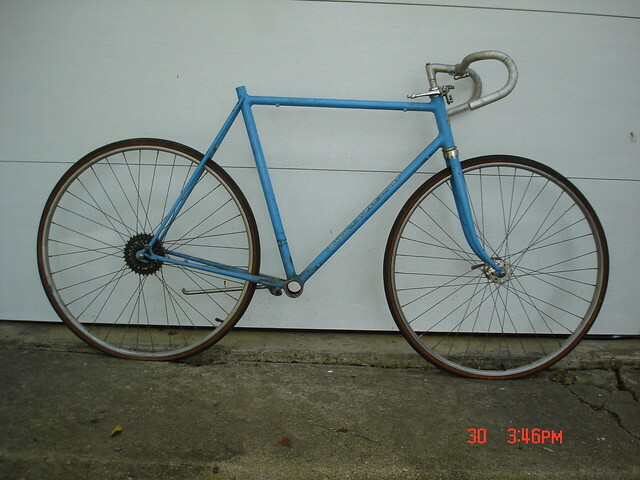 I just recently had a couple of track bikes shipped to me that my dad and I bought used in the late 70's or early 80's, I can't remember exact year though. The closest I can get is that I still have the fork and handlebars from my AMF Dirt Buster that I received as a birthday gift in 1976. I do have a 1978 Vista Torino and a 1982 Schwinn Sidewinder that are identical to my childhood bikes but I bought both of them in the mid 90's. The bikes I've had the longest are a Kuwahara BMX bike that I got in 1986 and a Dyno Pro Compe freestyle bike that I built up in the fall of 1989. I'm still riding my Vitus 979 I built in the early 80s and my wife is still riding her Ciocc Mokba 80 from about the same time. Same here. I purchased a Fuji Royale in 1980, but it was stolen in 1984. I am still riding the Miyata 310 that I bought to replace it. I bought my 1974 Peugeot PX10LE new, but there have been a lot of changes made over the years.